Born in 1991 in Cheboksary. Studied at the Central Music School under the Tchaikovsky Moscow State Conservatory (class of Tamara Alexeyeva). In 2011, graduated from the Academic Musical College at the Moscow Conservatory (class of Vassily Mechetin); currently a student at the Moscow Conservatory (class of professor Natalya Shakhovskaya, People’s Artist of the USSR). 2009 – 3rd prize winner of the “Merzlyakovka Welcomes Friends” 2nd Russian National Contest of Bowed String Instrument Performers (Moscow). 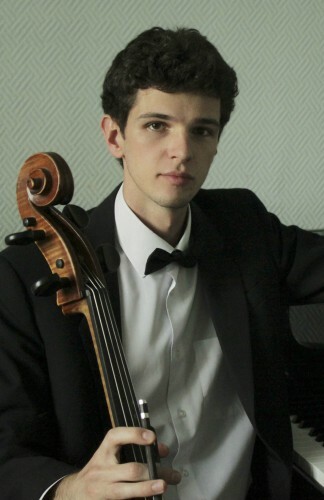 2010 – 2nd prize winner of the “Symphoniya” 7th International Contest of Young Musicians (Volgograd) and 3rd prize winner of the 2nd Russian National Cello Players’ Contest Named after S.M. Kozolupov (Moscow). Took part in master classes by David Geringas, Krzystof Sperski and Petras Kunz. Took part in the “Creative Youth of Moscow Conservatory” festival (Moscow, 2012) and Chamber Music Conference Festival in Savonlinna as a member of a trio (Finland, 2012).